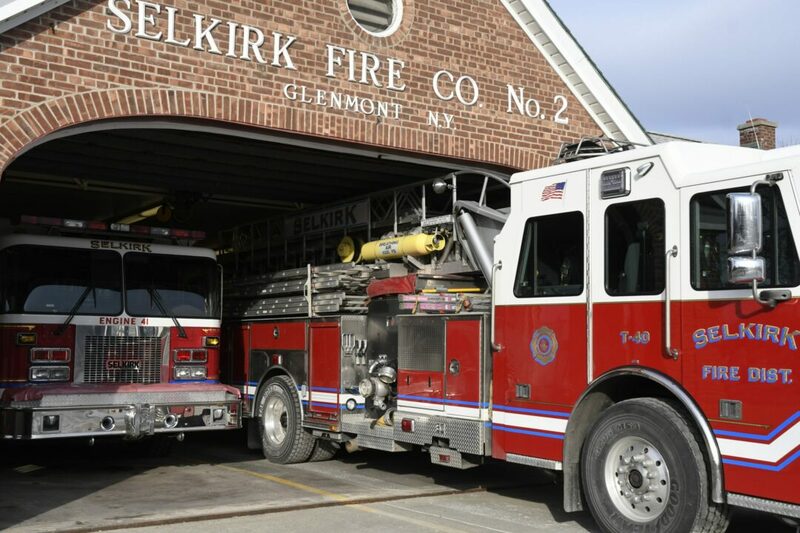 SELKIRK — The Selkirk Fire District’s Board of Commissioners are placing a bond vote on Tuesday, Dec. 11 in which the public is encouraged to vote on a $17.8 million project that would update its three outdated fire stations. An artistic rendering of what the new headquarters would look like, if the project is voted on. Working with Mitchell Associates Architects, the project entails the construction of a new headquarters station on district-purchased land along U.S. Route 9W beside Albertus W. Becker Elementary School, reconstructing its second station on 301 Glenmont Road in Glenmont, and improving its third station on 480 Bridge St. in South Bethlehem. For the average homeowner, it would cost them around $100 per year. Most of the bonds are 30-year bonds. According to Selkirk FD Chairman Charles Wickham, this was the most cost-efficient avenue they could take now, after having done several reports and analyses into the fire stations’ safety and efficiency standards. Selkirk FD Chairman Charles Wickham said that the fire trucks have struck the stations in the past because of how large they have become over the years. The lack of comfortable space between a truck and ceiling is demonstrated above by a firefighter. These comprised of the 2005-published Selkirk Fire District 2010 Report, the 2011 Manitou Study, and the Mitchell/FAC Report in 2017. Having consulted professional engineers and architects, these overall looked into the stations’ serving capacities, and outlined numerous recommendations for the future like buying new land to build the new headquarters building on, and better consolidating the fire district’s resources. They are available online for the public to view at http://selkirkfd.org/building-project/. The project’s roots originated over a decade ago when the firehouses increasingly felt more inadequate to efficiently handle its firefighters, fleet of fire trucks, and other needed services. Issues mainly concern firefighter safety and the stations’ outdated architecture, which may result in lower recruitment rates in the future. There is little room for the fire trucks whenever they have to be driven out of Station 1, above, and may directly affect the road traffic right in front of it. Station 1’s outdated architecture is because it was built back in 1928. These include how the fire stations are physically too small to safely house its vehicle fleet; there is a weight limit on the parked vehicle fleet at one of the three fire stations because there is a basement right underneath; some fire trucks have to be driven outside the stations first for maintenance or activities as they almost touch the stations’ ceilings above; the stations lack enough space for the firefighters to work and for community events; the fire trucks’ diesel fumes and other harmful chemicals from fire emergencies can easily affect the firefighters’ health and spread across the stations’ rooms; and there is not enough comfortable space for firefighters to safely board or exit the fire trucks. Among the several reasons why the fire stations have felt substandard in recent years is because they were originally built in a much different time period, which represents different architectural and design standards, much smaller firefighter apparatus, and how they’d served a much smaller town population then. Station 1, located on 126 Maple Ave. in Selkirk, was originally built in 1928. Station 2, in Glenmont, was developed in 1952. Station 3, in South Bethlehem, was erected in 1956. Now, with over 50 volunteer firefighters serving almost 2,500 homes across a 32 square-mile radius, this explains why the stations’ outdated architectural designs are troublesome today, whereas they seemed ideal in the past. Note the dangerously tight space between trucks, which limits firefighters’ movement while working and it can potentially lead to accidents. Also, fire trucks and firefighter apparatus have also physically grown larger than they used to be back in the mid-20th century, and this issue is evident when observing how the small fire stations feel too tight to store the vehicle fleet and necessary equipment. During a personal tour of Station 1, Wickham showed a 1920s-era fire truck, which was one of the Selkirk FD’s original vehicles back when it first started serving in 1928. But since Station 1 was physically too small to proudly present that truck to the public in a more open-area setting, that truck is left hidden in a garage-like structure inside, away from the public’s view. Prior to the Dec. 11 bond vote, there are two scheduled public meetings where residents can come down to better understand what the project is, why it’s important, how it would affect them, and even speak with Selkirk FD members in person. Blueprints of the updated stations, like this one of the new headquarters, are expected to be shown to attending residents at the public meetings. The first public meeting is on Tuesday, Nov. 27 at Station 2. 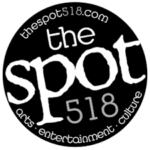 The second is on Thursday, Nov. 29 at Station 1. In both cases, there will be an Open House from 4 to 6:30 p.m. and the public meetings themselves are from 6:30 to 8 p.m. Finally, residents can vote on the project on Dec. 11 at all three fire stations, with polls open from noon to 9 p.m.